In a tight labor market, you might think hiring managers would overlook résumé and interview mistakes. Not so, finds a survey conducted by staffing firm Robert Half Technology. U.S. hiring confidence remains strong in Q2 2018, as one in five employers plans to grow their workforce in the three months ahead. 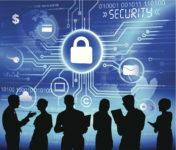 Research from the Information Systems Security Association (ISSA) and independent industry analyst firm Enterprise Strategy Group (ESG) finds that the cyber security skills is worsening and becoming a rapidly widening business problem. When considering jobs, what factors do college students find most important? 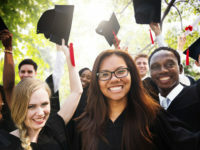 A new report from the National Association of Colleges and Employers (NACE) provides insight. There’s good news and bad news … which do you want first? A new survey report details what independent restaurants owners and operators are doing to find and attract top candidates in today’s tight labor market. Although focused on restaurants, the report also offers valuable insight for other businesses. As recruiters increasingly rely on social media and experiment with texting to communicate with candidates, a new survey suggests a more traditional method may be the best vehicle for communication.